Woo hoo! Today is the day that I’m heading to Utah for Founder’s Circle and I don’t think I could be any more excited! 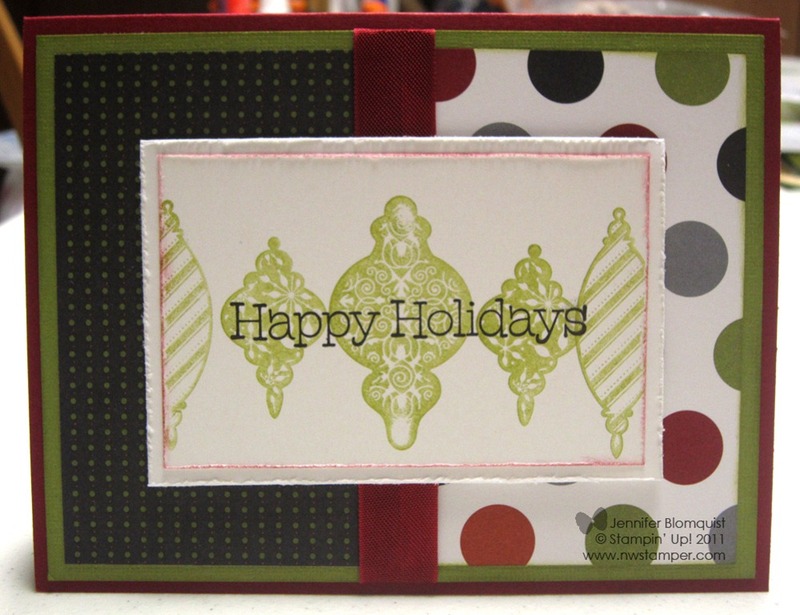 5 days to relax, stamp, explore, and socialize with some amazing stampers and demonstrators – what could be a better vacation? I’ll be blogging from my trip in Utah as well as offering a Founder Circle special while I’m away! 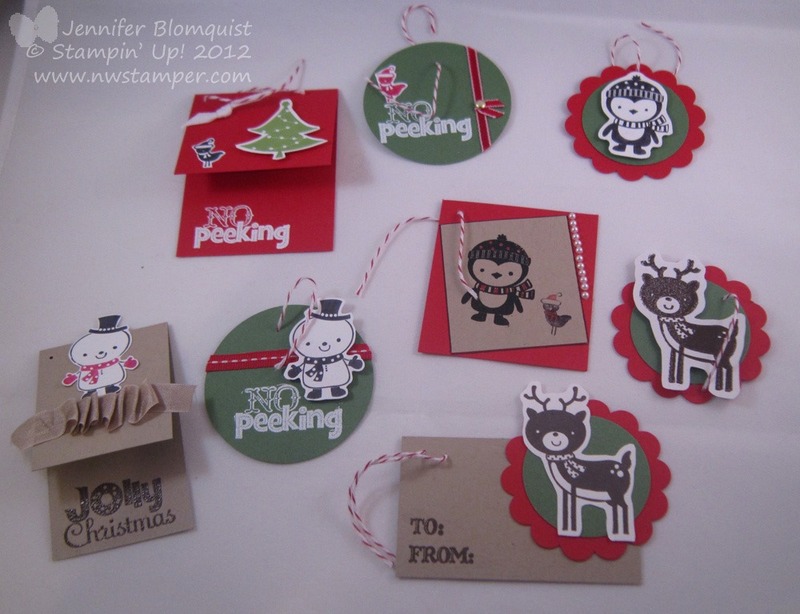 So, be sure to stop back by the blog to catch all the excitement. 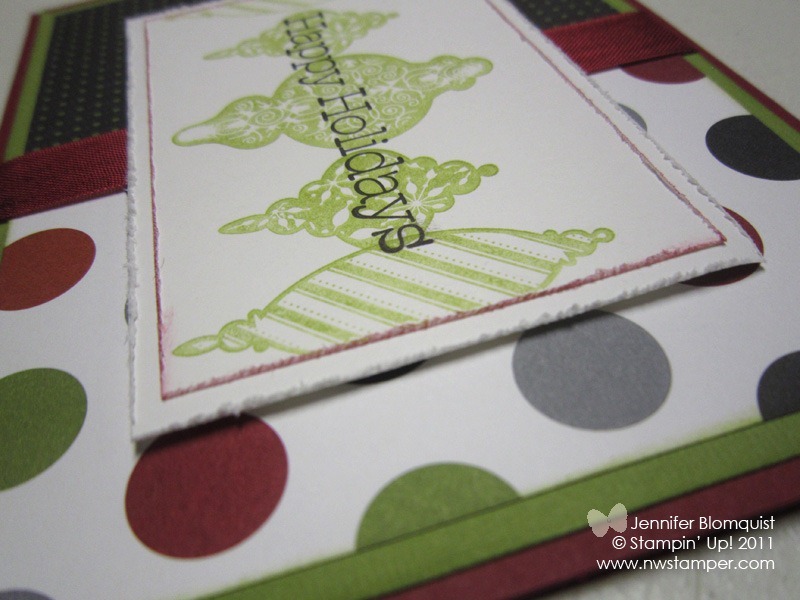 But, while I’m traveling, I wanted to make sure to share with you some new project ideas using the Christmas Star holiday single stamp. 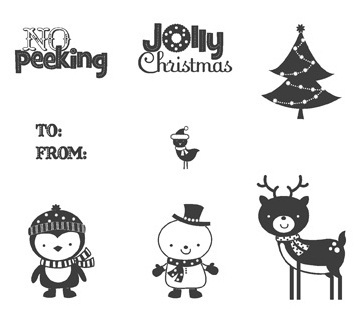 This stamp is an elegant way to decorate or create for the holidays. And the coolest part is that it is super easy to make it pop-out into a 3D star! But more on that in a minute. Now, first thing, I’ll warn you – this stamp is bigger than you think. I ordered the stamp and didn’t really pay attention to what clear block the flyer listed that was required for it. I assumed one of my medium blocks would work – NOPE! It takes the biggest block (block F). Yup. 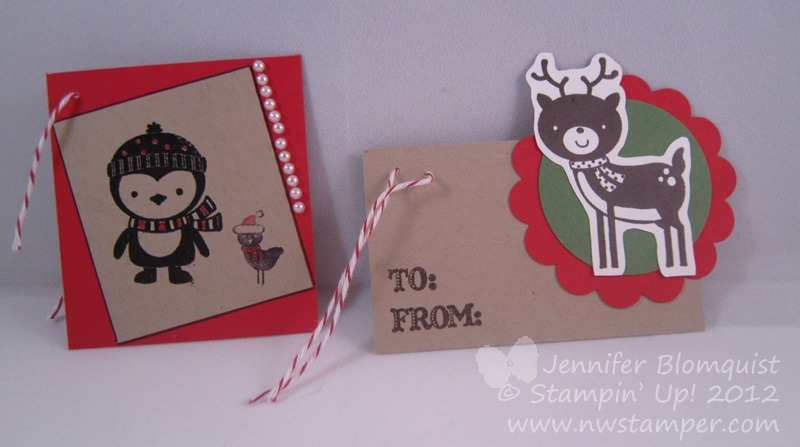 That is a 4.25” x 5.5” card base and the Christmas Star next to it! Now, you may be wondering what can I do with a stamp that big? 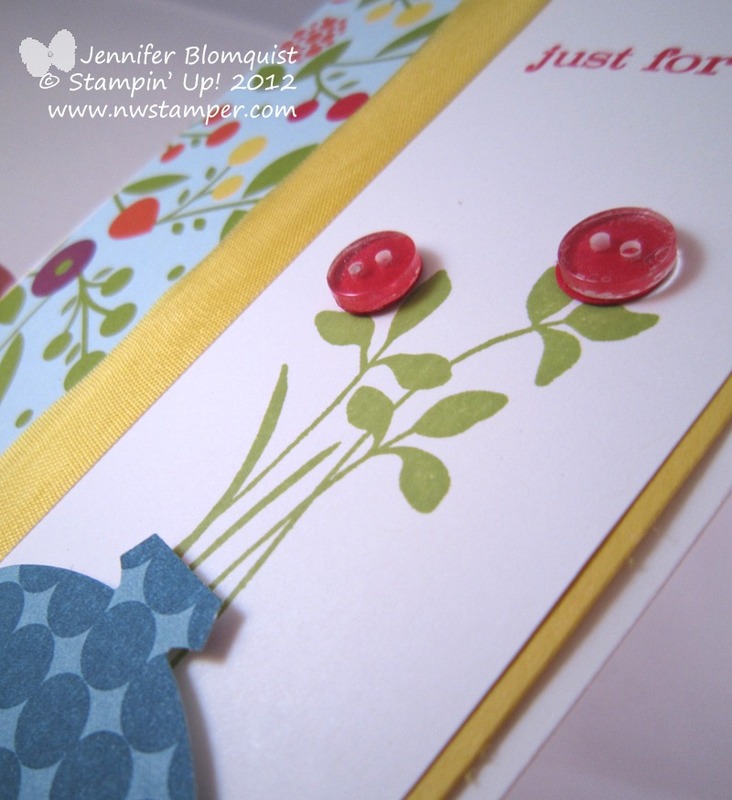 Why, make cute cards and home décor projects, of course! The first thing I did was make a Christmas card with the star. I decided to go for a more vintage-y feel and so I stamped on Crumb Cake paper with my Cherry Cobbler ink. 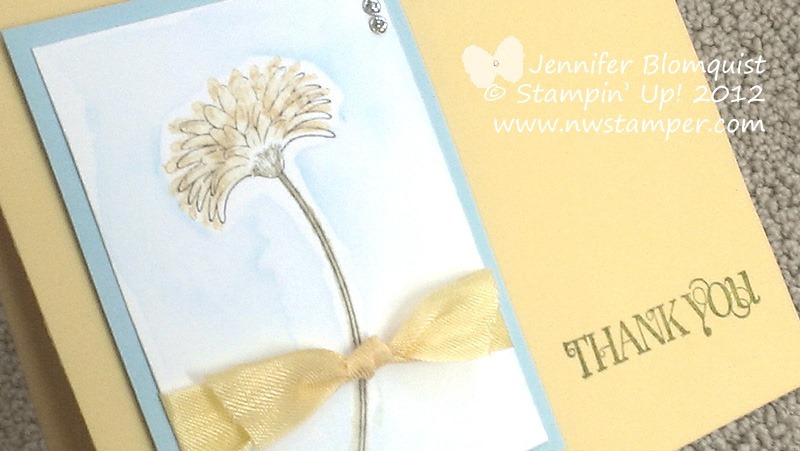 Sponge the edges with Crumb Cake ink and then add a touch of sparkle with some Silver Glimmer paper. Pretty, no? Then I wanted to play with the fact that you could make the star into a 3D star. 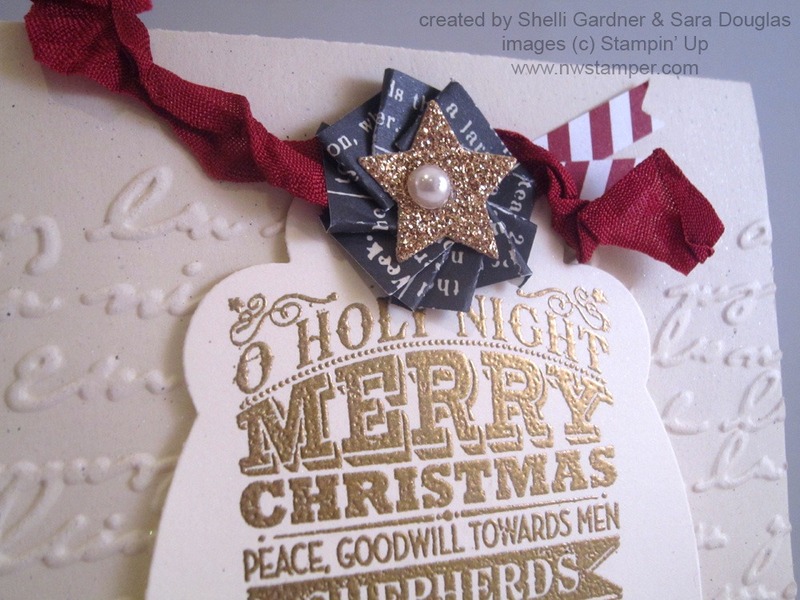 How do you make the Christmas Star pop up? 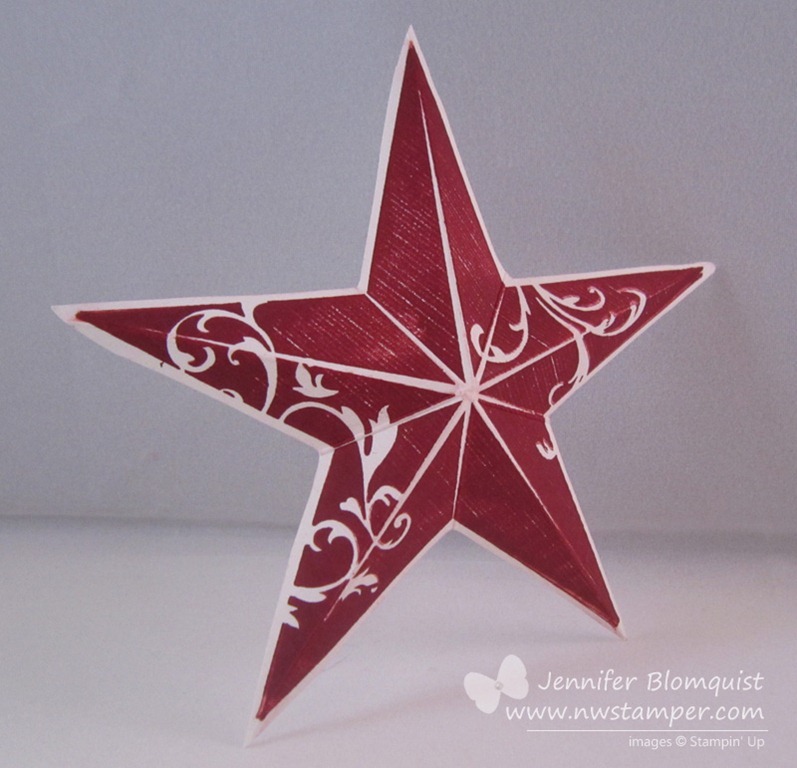 Fold the star in half using the white lines that radiate out from the center of the star as guidelines. Set your star on a table or flat surface and then gently squeeze the sides in to cause the center of the star to push up off the table. 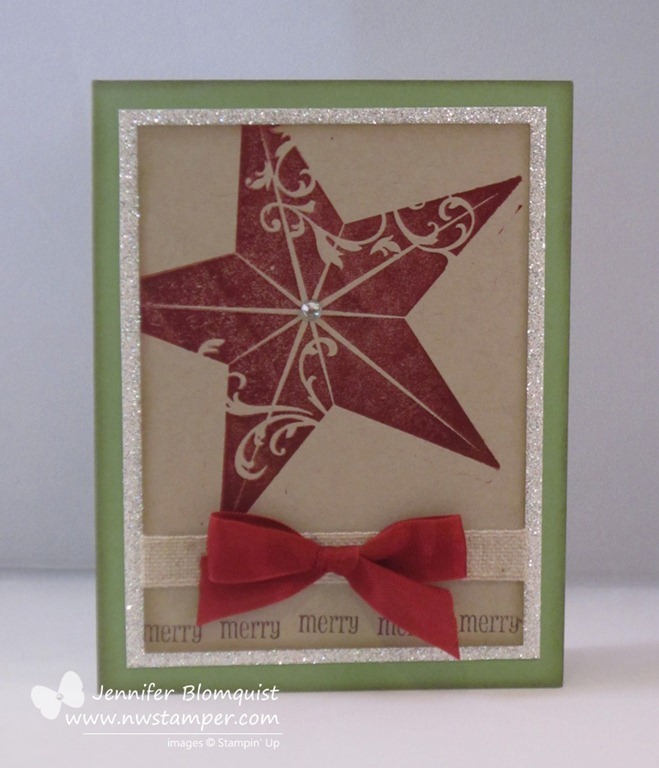 Your star should stay dimensional and you can now add it to your projects! 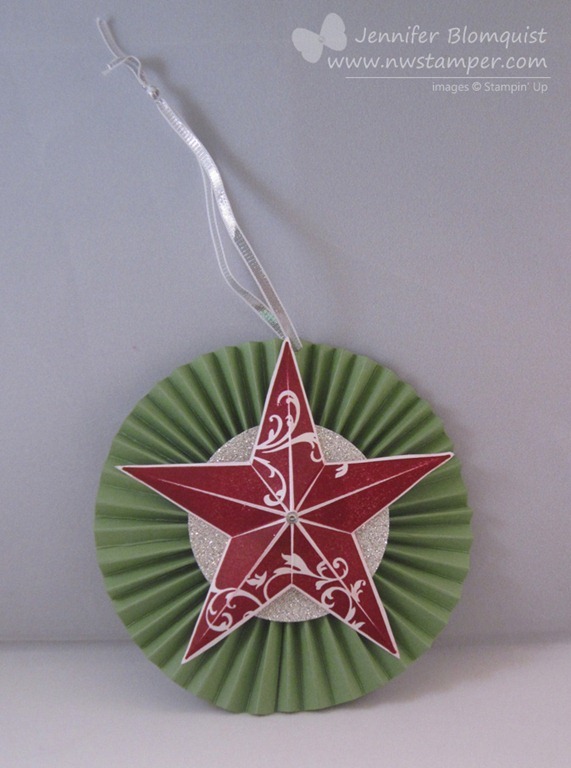 Once I made my star, I knew I had to put in on something, so I made this rosette ornament. I cut two strips of 1.75” x 11” pieces of Wild Wasabi cardstock and then scored it at 1/4” increments. Then I could fold my paper back and forth to create the accordian look. 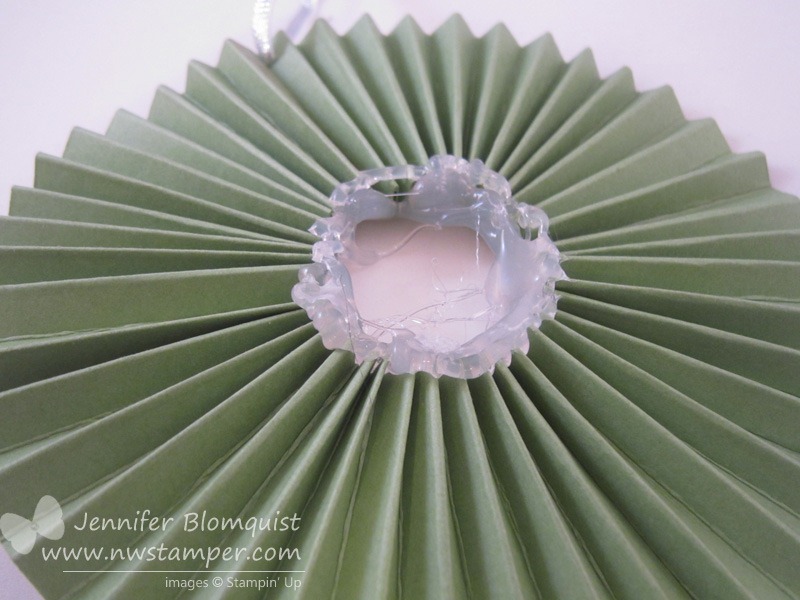 Glue the ends of each strip together to make one big circle and then push the center down flat to make my rosette. 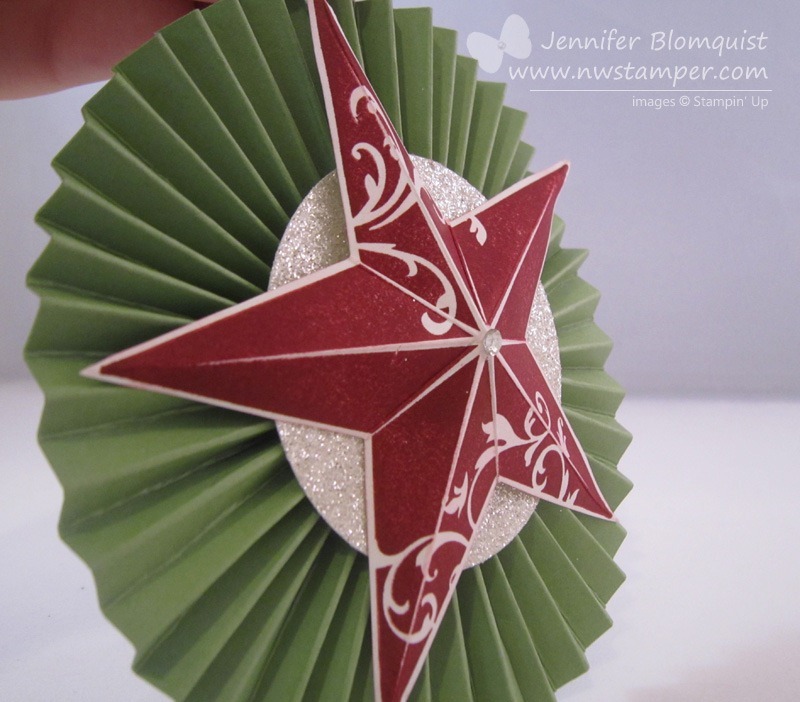 Now, I haven’t made many rosettes before, and I’m a complete newbie to my hot glue gun…. so, when I had to hot glue the middle of my rosette together so it would stay flat, it got a bit messy! But it works, and I covered it up, so you’d never know! Then I just added a circle of Silver Glimmer paper (adhering with hot glue again) and then added my star (adhering with glue dots) to the top. Punch a hole in the rosette and run some of the new Silver 1/8” taffeta ribbon from the holiday catalog and you have yourself an ornament! Oh, and the rhinestone! 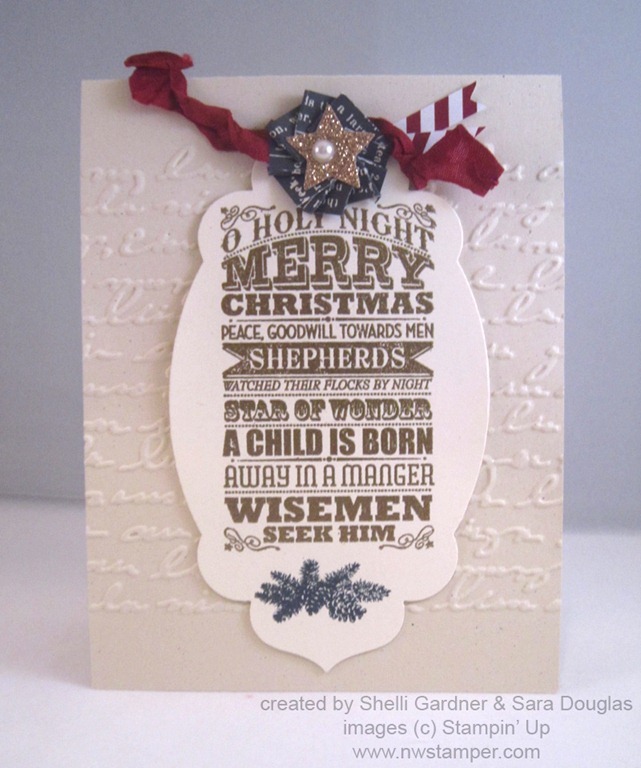 Don’t forget the rhinestone in the center of the star! 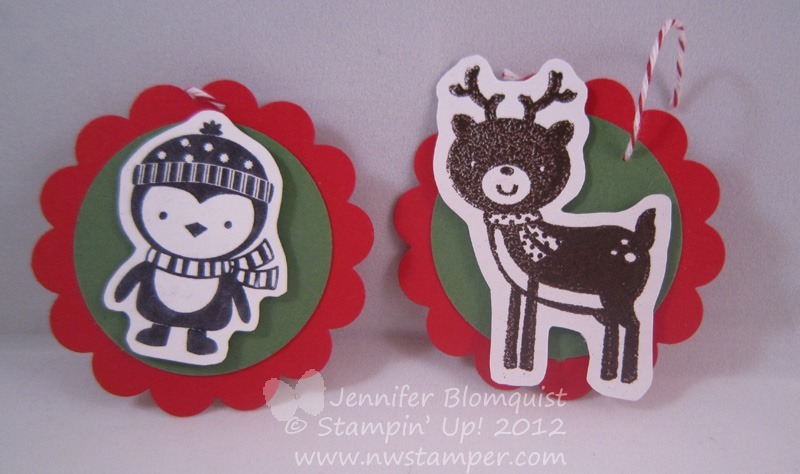 So see, there are lots of cute things you can do with this stamp – even if it is big! Founders Circle Special – Double Rewards All Weekend Long! Since I can’t take you all with me to Founder’s Circle this weekend, I thought I would try to do something special to celebrate anyway. So, from 9/18–9/22, receive DOUBLE your reward punches for each purchase! That is right! For every $40 you order, you will receive two punches on your punch card and be that much closer to receiving a free stamp set of your choice! 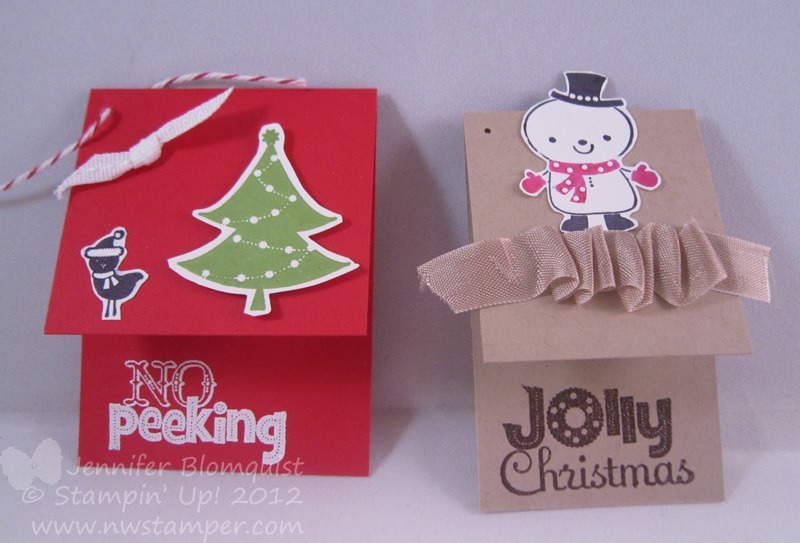 Everyone who places an order between now and 9/22 will be entered to win a free Christmas Star stamp and Rhinestones! So, have a great weekend and I’ll see you back on here soon! 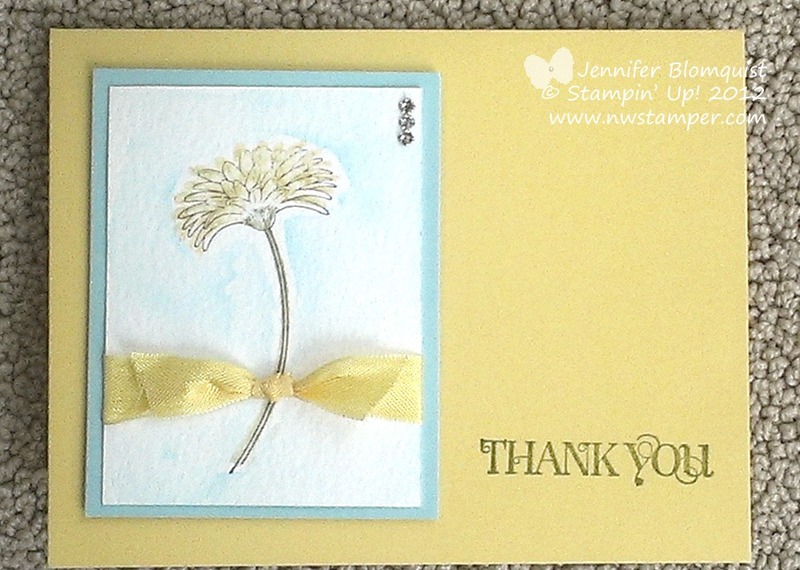 Her comment got me thinking and I realized that I use this punch way more often as a vase than I do as an ornament! How funny is that? Anyway, I used the new Daffodil Delight seam binding ribbon and then decided to mirror the flowers in the designer paper by using the Itty Bitty Punch pack and Bitty buttons to make cute modern flowers for my vase. 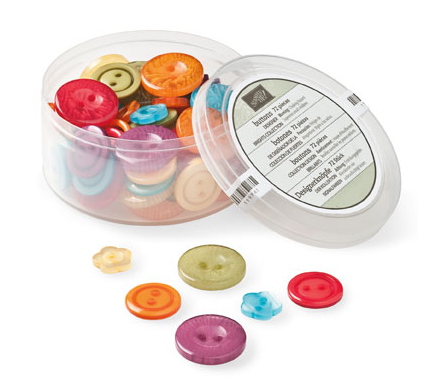 Tip: Punch out your paper using the small circle punch and then adhere it to your button by making a light coating of crystal effects on the button. 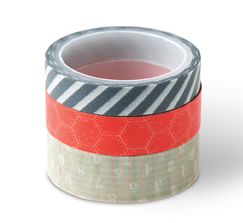 This gives you a super solid hold and it is uniformly clear when looking at the button. I’ve tried glue dots in the past and you tend to see the shadow where the glue dot ends but the button still continues to be bigger than the glue dot. 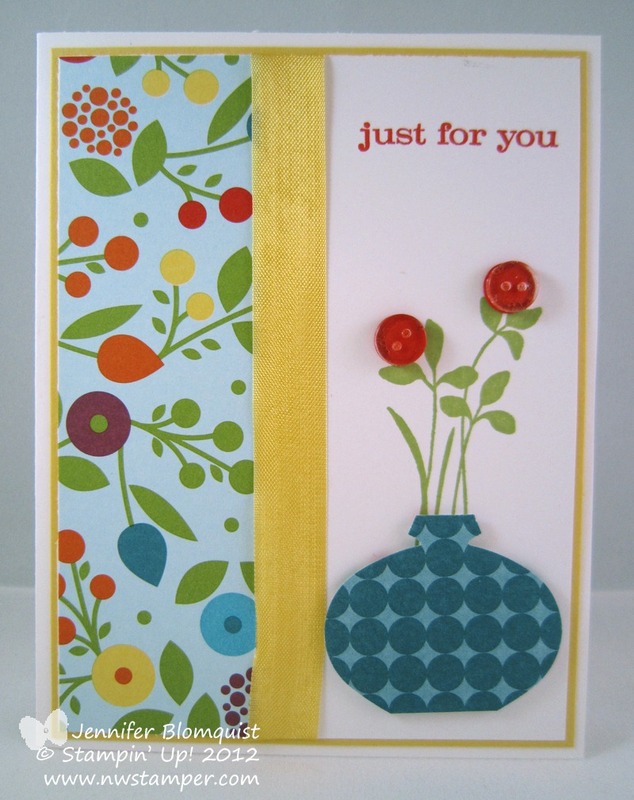 Finally, I thought I would show you the card I created for this design while waiting for my Summer Smooches items to come in the mail. 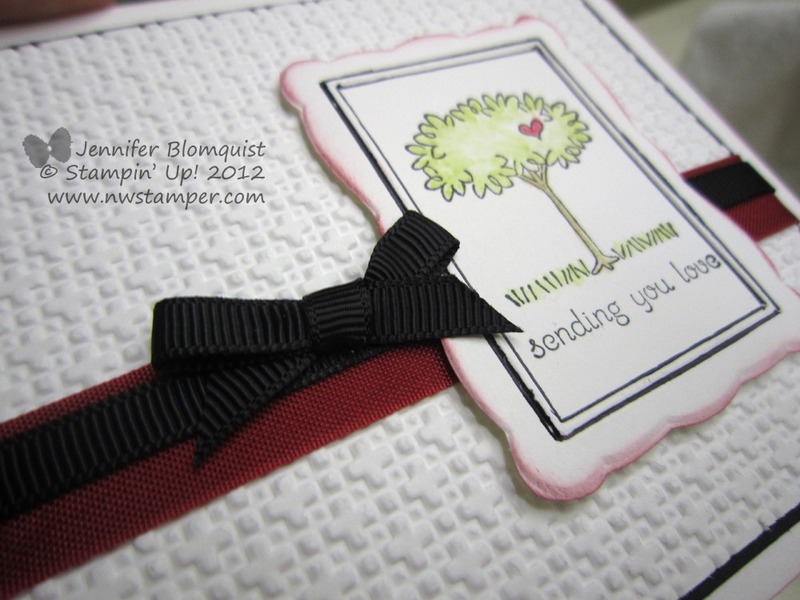 This uses the same stuff, just Sweet Shop specialty designer paper and Crumb Cake seam binding ribbon. available as a sneak peek in April only! I hope you had a wonderful Valentine’s Day! My day was like pretty much everyday except my hubby was super sweet and let me sleep in a little in the morning. He even fed Nicholas breakfast while I slept! That was an awesome enough gift for me. Well, as evidenced by my just getting my Christmas thank you cards out in the mail last week, I’m a bit behind on my holiday card making. So, it really wasn’t any surprise that I didn’t get many Valentines done…and by many I mean, I got one done. Sure, I helped my son make one for his daddy, and so I hurried to put together one from me as well. 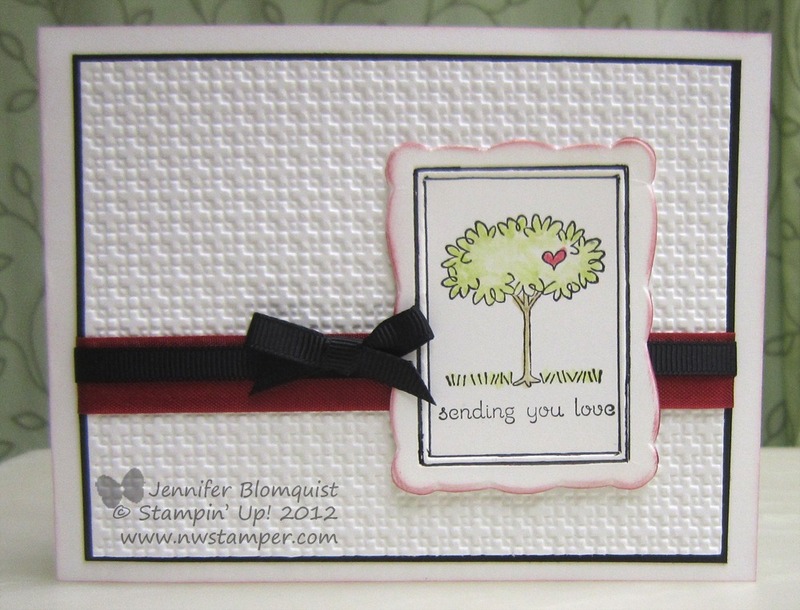 I saw a card on the Stampin’ Up! facebook page that used this stamp from the Easy Events stamp set in front of the lattice embossed background and it was inspiration enough to get me started. 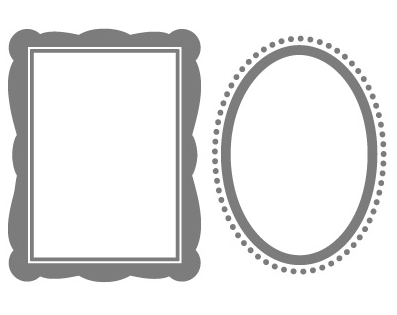 I was trying to figure out how I wanted to mat the image when I remembered that I had just received the Designer Frames embossing folders as a free Sale-a-Bration item and sure enough, the rectangle frame was a perfect fit! 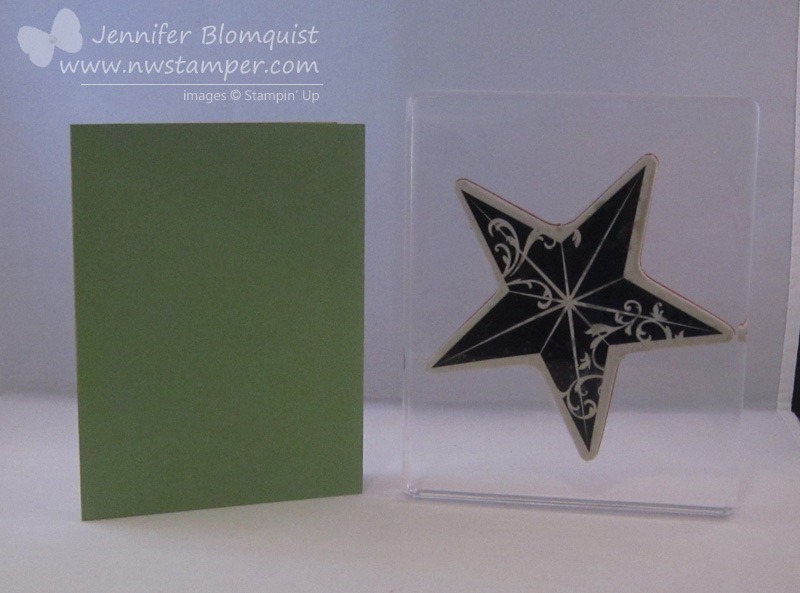 The really cool thing about these embossing folders is that since the plastic is somewhat see-through, I could stamp my image first and then line it up inside the frame before embossing. 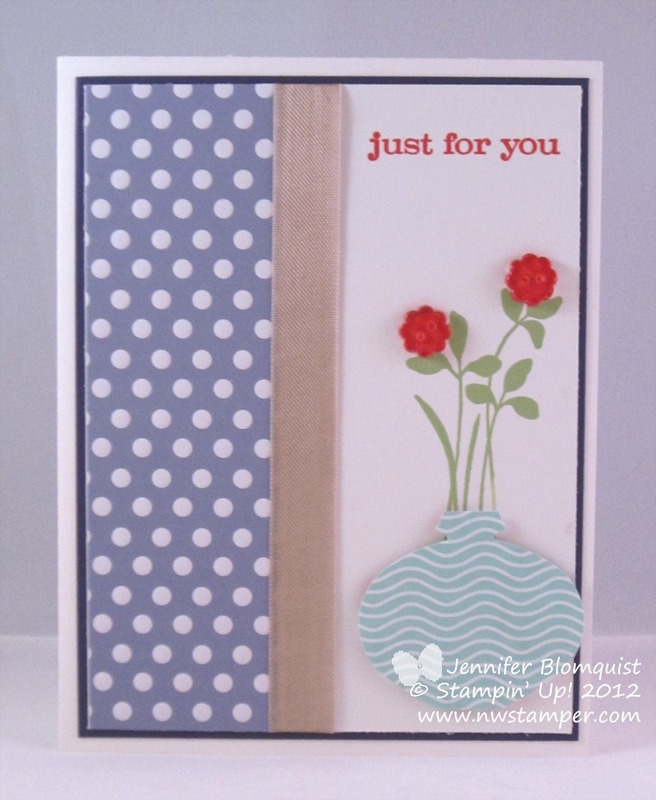 Sure, it leaves a little bit of ink on the folder, but that is easy to clean with a little spritz of the Stampin’ Mist cleaner. Anyway, after embossing the image, I decided to snazzy it up a bit and used a black marker to outline the embossed ridge near the inside of the rectangle. Then I cut out the whole frame and sponged to make it “pop” more off the background. Let the ink sit for an extra minute before you start blending your colors. I used a blender pen, and though I know the Basic Black ink is water resistant and that classic ink dries really quickly. I forgot that if you are going to be doing a lot of pulling the color around with a blender pen – let your stamped image sit for an extra minute to totally dry. I started coloring in almost immediately after stamping and found that if I went over the black lines very much with the blender pen it would darken my color (in this case, I ran into it with the green of the tree). It still looked pretty and came out fine, but I ended up stamping again anyway because I wanted a more vibrant color when I was coloring. Letting the image sit while I cut out the frame was more than enough time to be ready to color.